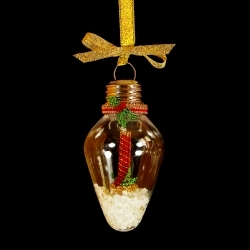 What could be more festive than a beautiful bauble/bulb containing snow and a Christmas candle - just perfect. Please note that this Project uses three different types of Glue. These are essential items to complete this Project.